Popular both on their own but especially when combined into a piece of jewellery, Ammonites are a great draw for the fossil enthusiast. 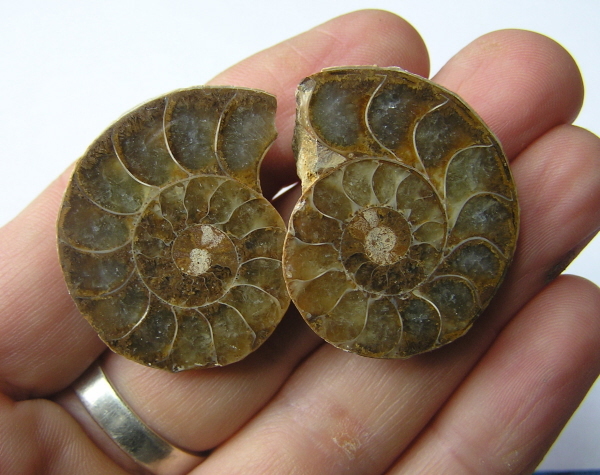 Check out these fossils but don't forget to check out the fossil jewellery page for some gorgeous Ammonite jewellery! 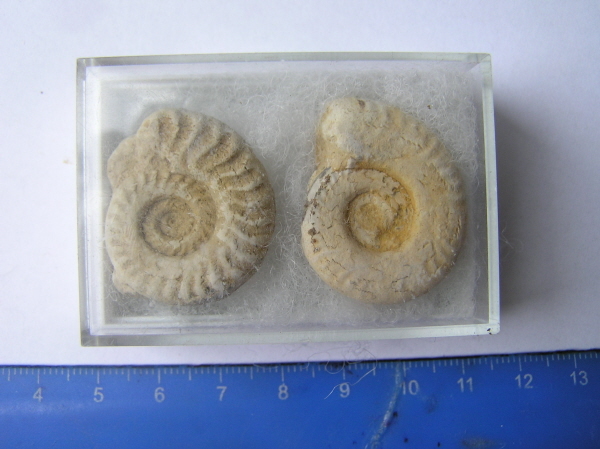 These are rare Ammonites and this is the first one I have EVER offered in nearly ten years of selling fossils. Large Polished Madagascan Ammonite - NEW! This is a gorgeous large whole ammonite that has been skilfully polished to bring out the wide range of colouration underneath. 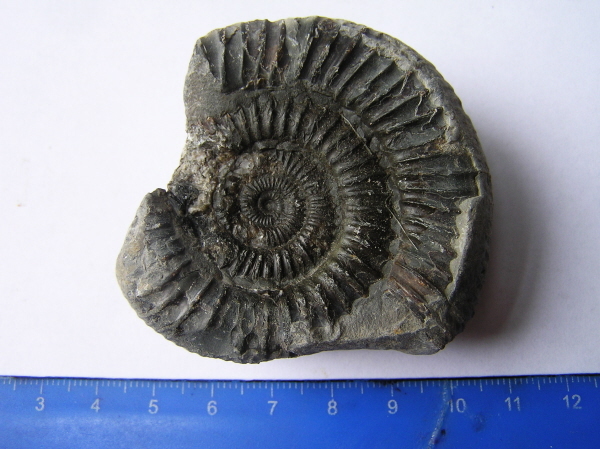 This is a superb Dactylioceras Ammonite from the classic UK fossil site at Whitby in East Yorkshire. 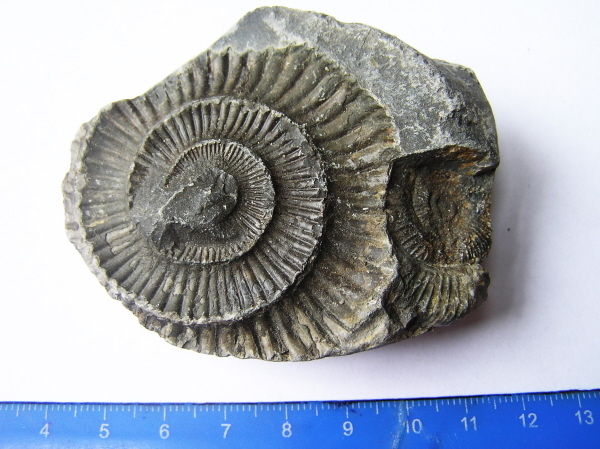 These are undoubtedly one of the most beautiful of all UK Ammonites. While only a negative impression and not the most complete specimen this is an affordable way to add one of these super fossils to your collection. 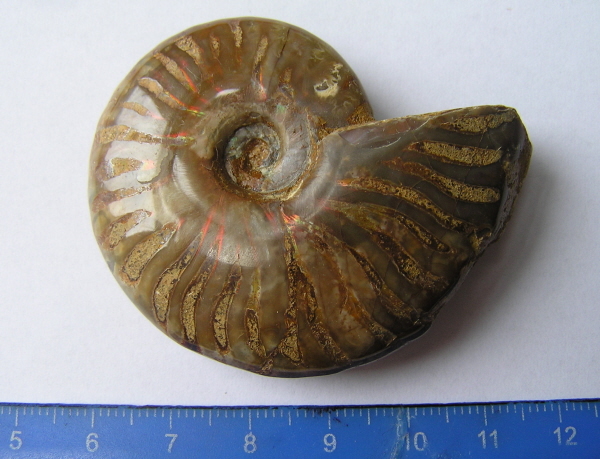 This is a superb Dactylioceras Ammonite Negative from the classic UK fossil site at Whitby in East Yorkshire. Cretaceous, Madagascar. Age:- approx. 100 Million Years Old. This is a gorgeous and very large ammonite slice pair. 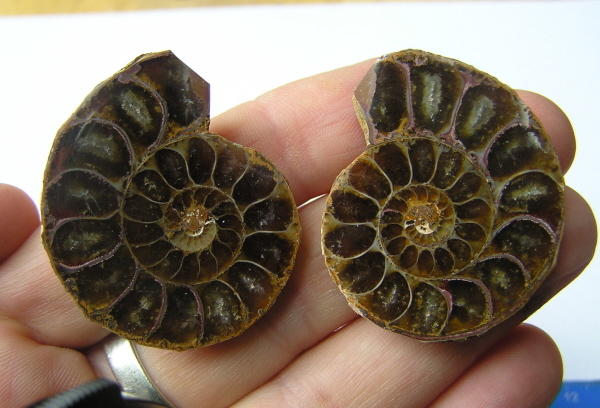 This stunning ammonite pair has a gorgeous dark brown colouration with flashes of red! This pair also has some great calcite preservation. Ideal for displaying on small stands and will also make stunning jewellery. 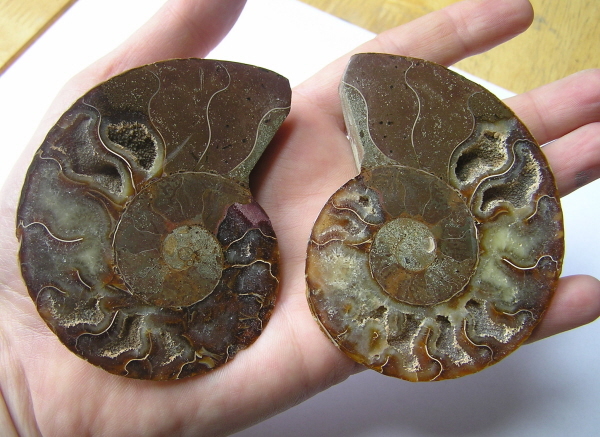 This stunning Ammonite pair has a gorgeous varied brown colouration and lovely outlines to the chambers. This pair also has some great calcite preservation. The fossil pair comes bagged and labelled. Jurassic Age:- approx. 160 Million Years Old.